If you’re in Colorado and making edibles, we trust you’re following the new MED regulations that went into effect Oct. 1, 2017 and gearing up for the Nov. 1, 2017 rules as well. Even if you’re making edibles in other states (or countries), it’s imperative to ensure edibles are not appealing to or accidentally ingested by kids. Edibles shaped like animals, humans, or fruit are prohibited. As of October 1, 2017 dispensaries must only sell edibles that are in compliance with this rule. Relevant labeling requirements apply to potency and it should be at least a 10 font, 2x the size of the font around it and/ or highlighted in a bright color or circled in red. As of November 1, 2017, you’ll also need to make sure that medical marijuana produced on or after 11/1 have all the appropriate tests! If you see a production batch dated on or after 11/1 and there is no potency data, do not accept the cannabis. The MED is implementing mandatory medical marijuana potency testing and all Medical Marijuana Optional Premises Cultivations and Medical Marijuana Infused Product Manufacturers MUST comply with these new potency testing rules. A Medical OPC and/or Medical MIP must have a potency test conducted by a Medical Marijuana Testing Facility on every Production Batch of marijuana concentrate(s). 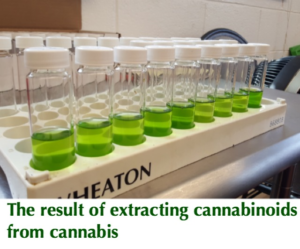 This must be done prior to wholesaling, transferring, and/or processing any of the (production batch) medical marijuana concentrate into a medical marijuana-infused product. A Medical Marijuana-Infused Products Manufacturer (MIP) must have a potency test(s) conducted by a Medical Marijuana Testing Facility on every Production Batch of medical marijuana-infused product(s) that it produces prior to transferring and/or wholesaling any of the product derived from that Production Batch. Marijuana-infused products that have tests conducted, must determine the level of concentration of the required cannabinoids, as well as whether the THC is evenly distributed throughout the product. If the product is partially-marijuana-infused, then the MIP Manufacturer must inform the lab/testing facility of the exact parts in which the product is infused and which it is not infused. Is it time to renew your Sell-SMaRT™ certificate? We offer Colorado’s 1st approved Responsible Vendor Compliance Training. Our next class is October 17, 2017. Register here!